It’s stories like the following where I can find some kind of joy in my day. Here’s an article from the Aviationist about a search and rescue operation to find people lost at sea. More importantly, while seafaring is a lost art. For those in Yap wanting to go to Guam by boat, go towards Mercury and Venus. If you pass Venus, you went too far. When Venus is to your right, turn right and go straight toward’s her. Here’s the article from: Aviationist. A U.S. Air Force B-52H Stratofortress crew from the 20th Expeditionary Bomb Squadron, stationed at Barksdale Air Force Base, Louisiana, and deployed to Andersen Air Force Base in Guam are being hailed as heroes. The B-52H located the lost crew of an open ocean Polynesian-style canoe after they were missing at sea for six days. The traditional Pacific Island-style canoe carrying six paddlers had become lost after sailing from nearby Piagailoe Atoll on June 19. The journey from the atoll to Guam was only supposed to take one day — meaning the paddlers, who had minimal supplies had been missing at sea for nearly a week. 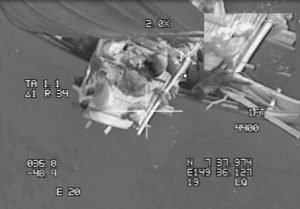 Following the location of the canoers from the USAF B-52H, the six-member crew of the ocean-going canoe rendezvoused with a merchant vessel in the area that was directed to their location to effect rescue. The merchant vessel provided the canoers with water, food and navigational assistance so they could safely return to land. The eight-engine, long range B-52H bomber joined the search when the crew from Barksdale Air Force Base, La., was on a routine flight during a deployment to Guam. The heavy bomber crew responded to a call from the Coast Guard for assistance in the search on June 25. The B-52H crew were able to locate the canoe and its crew at sea only three hours after being called into the search and rescue operation. While the 63-year old Boeing B-52 Stratofortress, first flown in 1952 and accepted into the Air Force in 1955, is oddly well suited for the maritime search and rescue role even though it was introduced as a global reach strategic nuclear bomber. The aircraft has an extremely long combat radius of 4,480 miles, meaning it can search out in a straight line 4,480 miles and return the same distance without refueling. 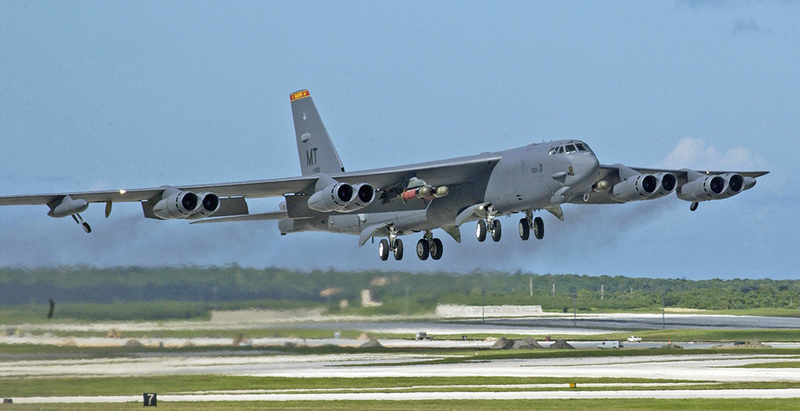 Given midair refueling availability, the B-52’s endurance is limited mostly by its crew’s physical endurance. In January 1957 three USAF B-52s set an endurance record by becoming the first jet aircraft to circle the earth on a non-stop flight. The early version B-52Bs flew continuously for 45 hours and 19 minutes. In total the planes flew 24,345 miles without landing.